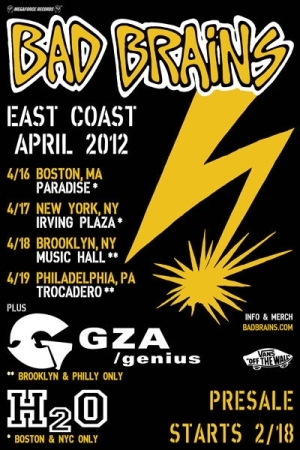 BAD BRAINS will be touring the U.S. East Coast with H2O and GZA. PUBLISHED on February 14, 2012. UPDATED on April 14, 2012 – 2 Washington shows added.